On the 12th anniversary of 9/11, former New York Mets and Boston Red Sox manager Bobby Valentine was a guest on WFAN radio and spoke about the role baseball played in the aftermath of the terror attacks on the World Trade Center and the Pentagon. In all fairness, Yankees manager Joe Torre and several players including Derek Jeter and Bernie Williams spent time with families of victims in the days after the attacks. According to the New York Daily News, Torre was asked about Valentine’s remarks and opted not to comment. 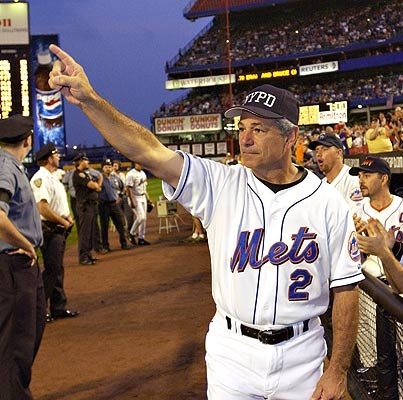 Somehow, on the anniversary of one of the worst attacks in American history, Bobby Valentine managed to make it all about him.